Presidents, through federal regulatory agencies, gone around Congress to create law, undermining Article I of the Constitution, which delegates lawmaking authority only to Congress. 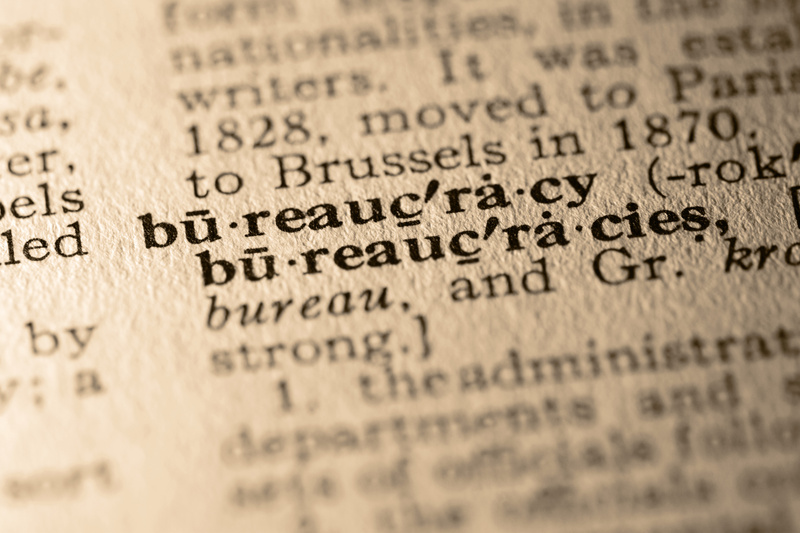 This has allowed federal bureaucrats significant power to promulgate rules, including economically significant rules -- those with an annual economic impact of $100 million or more. Sadly, both parties are responsible for this erosion of the separation of powers by surrendering their consitutional authority to the executive branch. 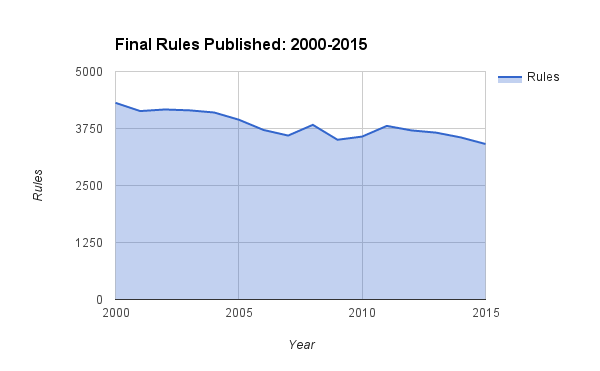 According to the Congressional Research Service, between 2,500 and 4,500 final rules are published annually in the Federal Register. 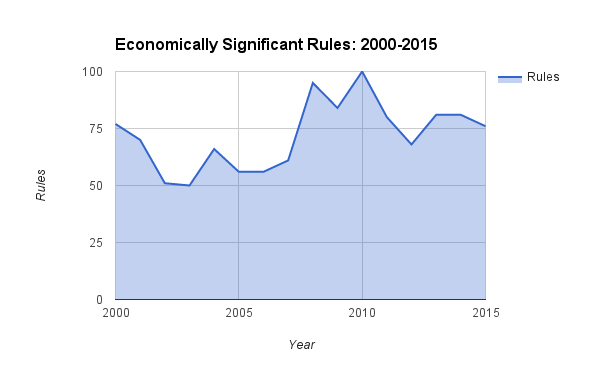 The Bush administration averaged 3,954 rules each year. Through 2015, the Obama administration averaged 3,602. The difference is economically significant rules, of which the Bush administration averaged 63. Through 2015, the Obama administration averaged 81. According to the American Action Forum, the Obama administration has surpassed 600 economically significant rules in eight years. The REINS Act would subject economically significant rules to congressional approval. Both chambers would have to vote on a proposed rule and the president would have to sign it before enforcement can begin. The current version of the bill would give Congress 70 days to pass a resolution to approve a rule. If a resolution is not passed, the rule cannot take effect. "Last year saw the implementation of 76 major rules with a cumulative economic effect of billions of dollars, so it’s easy to grasp that our country needs to rein in rogue federal rulemaking now more than ever," Rep. Collins said in a release. "My colleagues in Congress and the incoming administration are united in our commitment to regulatory reform and want to make sure that executive agencies actually serve Americans rather than handicapping their economy—that’s what the REINS Act will help accomplish." The REINS Act is not a new concept. The bill was first introduced in 111th Congress by then-Rep. Geoff Davis (R-Ky.) and then-Sen. Jim DeMint (R-S.C.), H.R. 3765 and S. 3826. Because both chambers of Congress were controlled by Democrats, it was never brought up for a vote. It was re-introduced in the 112th Congress by Rep. Davis and Sen. Rand Paul (R-Ky.), H.R. 10 and S. 299. In December 2011, the House, under Republican control, passed the REINS Act by a vote of 241 to 184. It never received a vote in the Democratic-controlled Senate. Rep. Todd Young (R-Ind.) sponsored the REINS Act, H.R. 367, in the 113th Congress. Once again, Sen. Paul carried the bill, S. 15, in the Senate. And, once again, the bill passed the House, this time by a vote of 232 to 183. The Senate, still controlled by Democrats, never brought the bill to the floor. The REINS Act was reintroduced by Rep. Young and Sen. Paul, H.R. 427 and S. 226, in the 114th Congress. The House version passed by a vote of 243 to 165. Though controlled by Republicans in the 114th Congress, the Senate never even so much as attempted a motion to proceed on the REINS Act. With Republicans retaining control of Congress and a Republican in the White House, the REINS Act could have its moment in the 115th Congress.